Peter Canavan has said that it is 'totally unfair' that Dublin could be able to play two Super 8s games in Croke Park in 2019 after Congress shot down a motion to alter the rules around home advantage. Donegal put forward a motion last weekend that stipulated that counties who qualify for the round-robin All-Ireland series wouldn't be able to nominate Croke Park as a home venue, as Dublin did last year against Roscommon, but it was defeated 64-36. 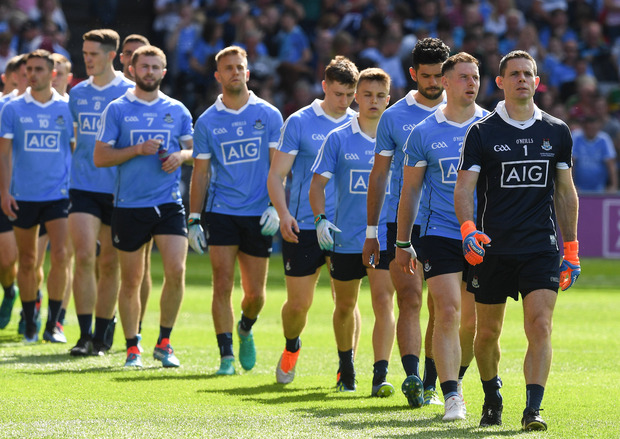 If Jim Gavin's men were to make the ldigst eight in the summer, they would be able to play two games in GAA HQ as they did in 2018, with the All-Ireland champions also taking on Donegal at Croke Park last year. Speaking to The Throw-In, Independent.ie's GAA podcast in association with Allianz, Tyrone legend Canavan said that Dublin have a big advantage over their rivals and that the motion should have been worded differently in order to level the playing field. "I wasn't surprised at all," Canavan said. "As soon as I saw the motion a few months back I thought that there was no way it was going to be passed, but I agree with the sentiment of it. "Croke Park is a home venue for Dublin. The fact that they get to play the neutral game there, two games out of three in Croke Park is totally wrong. I can't believe that people don't understand that. Fair play to Dublin, they are getting away with it, but it shouldn't be the case for the good of football. "Take last year's group that Dublin were in, they played Donegal in Croke Park. If they had played Donegal in a neutral venue in Clones or Omagh, it changes the whole dynamic of the game. It gives Donegal a real chance. "They were never going to concede home advantage [in Croke Park] and play in Parnell Park but they shouldn't be allowed play their neutral game there. It is totally unfair." In other news, Tyrone moved out of the relegation zone in Division One after beating Monaghan at Healy Park, and Canavan says that he was pleased to see a much improved attacking performance from his county. "I was very disappointed with their performances prior to the Monaghan game," Canavan said. "The lack of speed, the lack of penetration. They looked like a tired team whereas on Saturday night, there was a spark about them, there was an energy about them. "With the exception of a five-minute spell before half time when they held onto possession, they were moving the ball. It was a crucial game for Tyrone. "Peter Harte has been spending more time up front. In previous games he had spent a lot of time up in the forward line and it hadn't worked that well. He won't mind me saying that his performances were below par up until Saturday night. It was interesting that a lot of bodies were getting forward. In the previous games that wasn't happening."